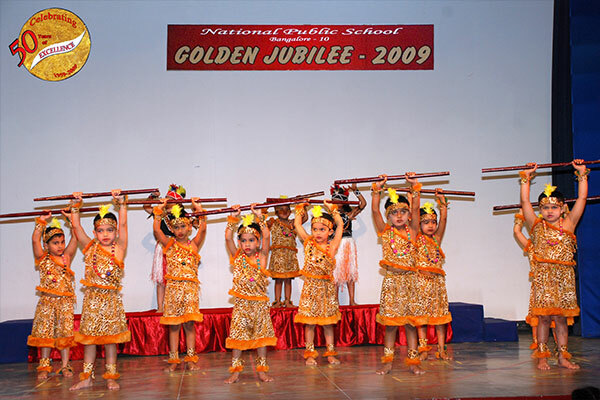 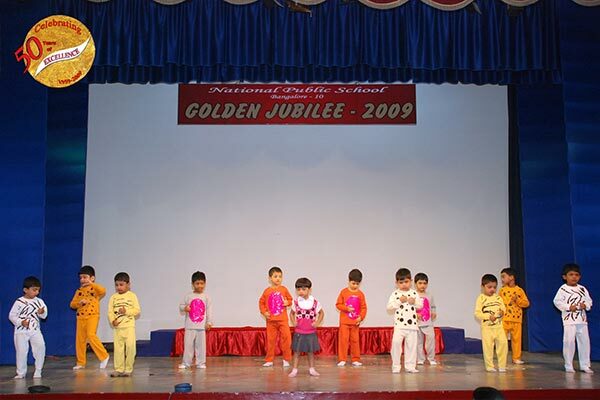 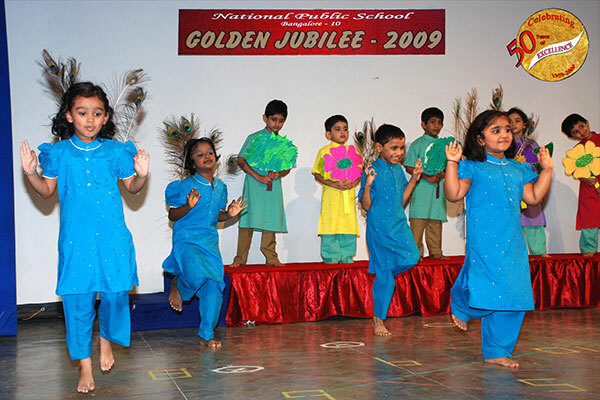 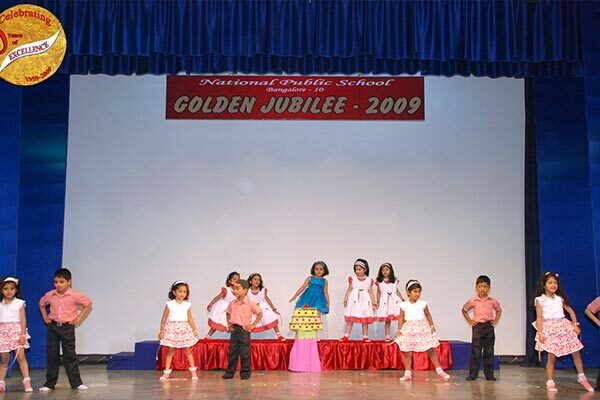 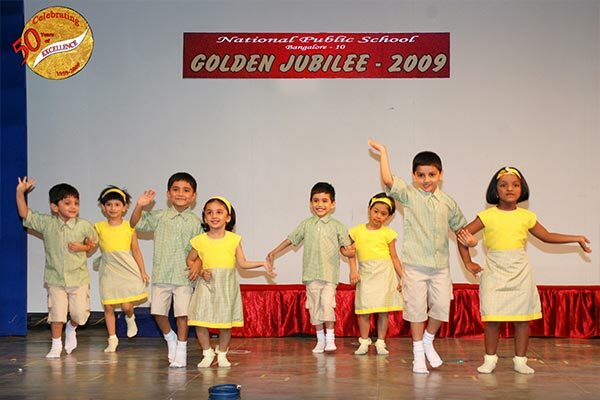 2009 is very special to all at NPS as it is the Golden Jubilee year. 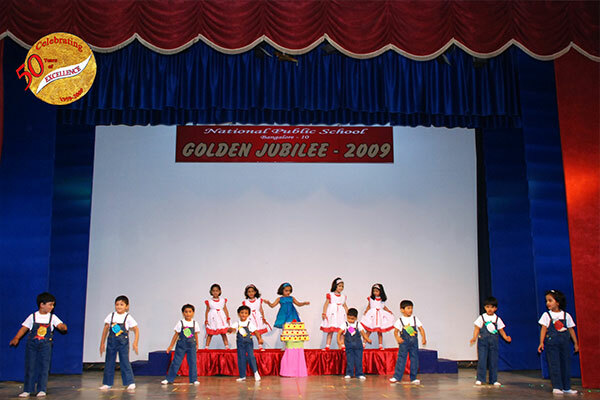 As a part of this celebration, the kindergarteners put up a dance drama titled “Lost in the Woods”. 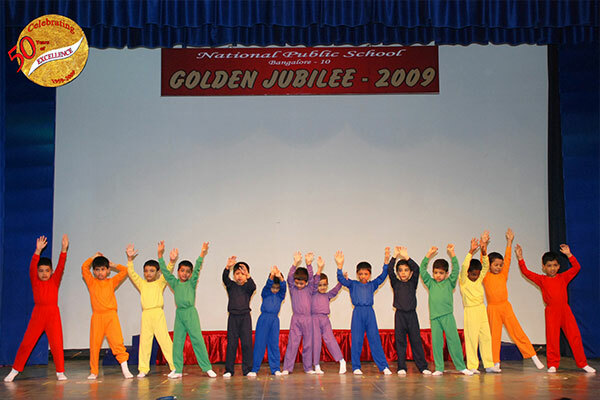 The story was woven around the escapades of Red Riding Hood who is in search of her grandmother. 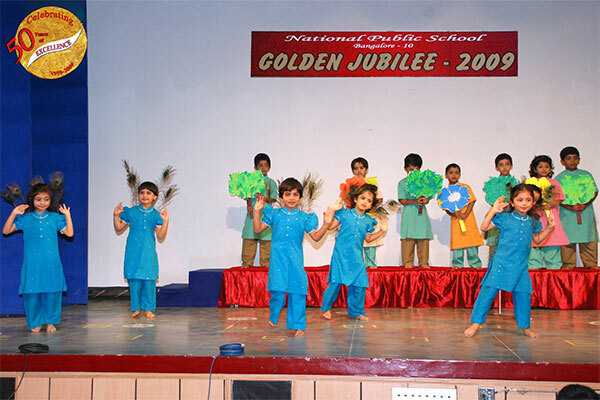 The curtains rose to reveal the beautiful sun and flowers in bloom as Red Riding Hood wends her way into the woods where she meets peacocks dancing in the rains. 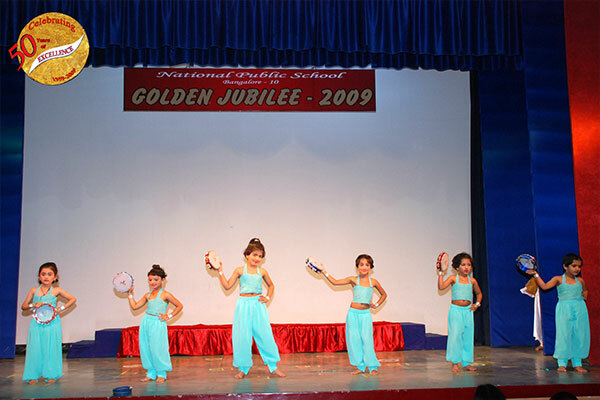 She seeks the help of tribal people and Aladdin to find her grandma. 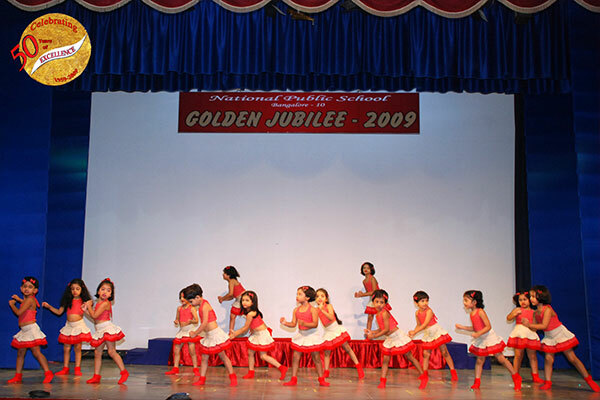 Her sojourn through the woods was filled with song and dance. 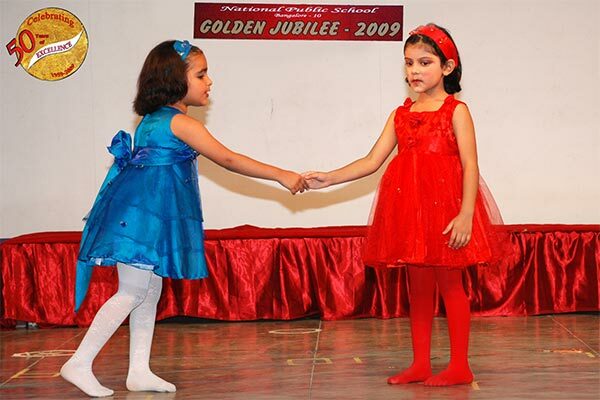 With the help of Alice, her friend, she finally meets her grandma in the land of toys and everything ends on a happy note. 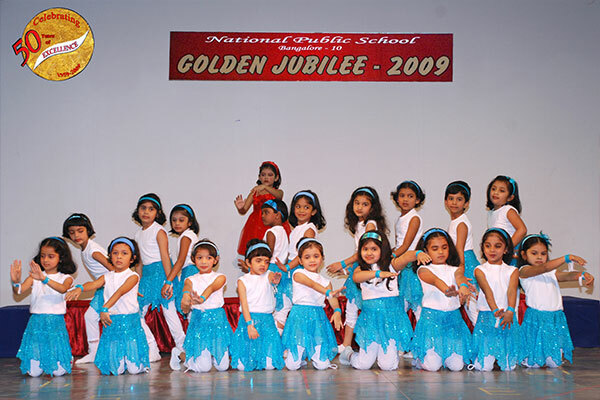 The foot-tapping music, the enthusiasm, cheerful faces and radiant smiles of the children was infectious. 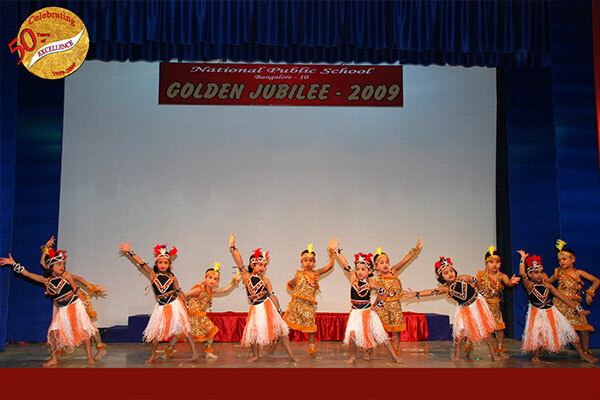 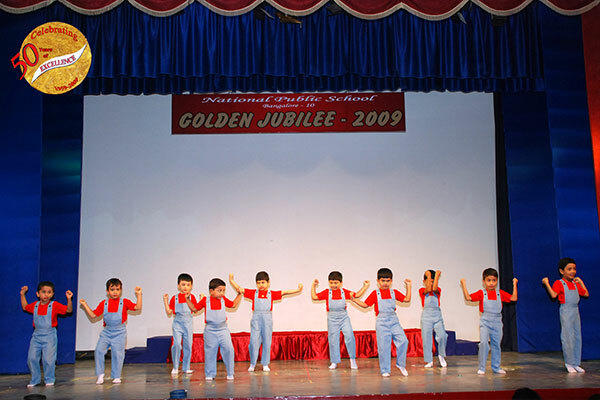 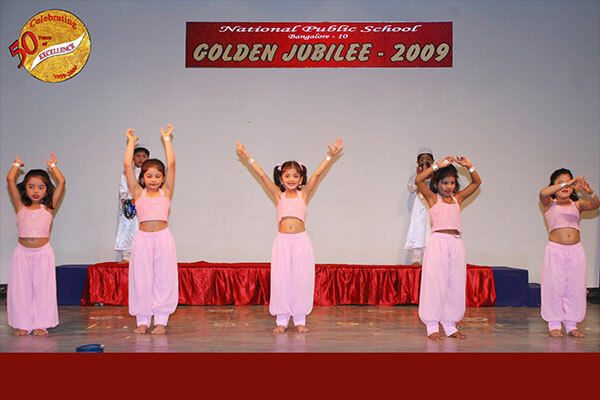 The little ones exhibited loads of confidence as they danced and conquered the hearts of all in the audience.